C&I News covers a range of stories told by our service users who were willing to share their experience during their road to recovery. It also has input from our medical professionals who provide tips and advice on how to cope with certain conditions. 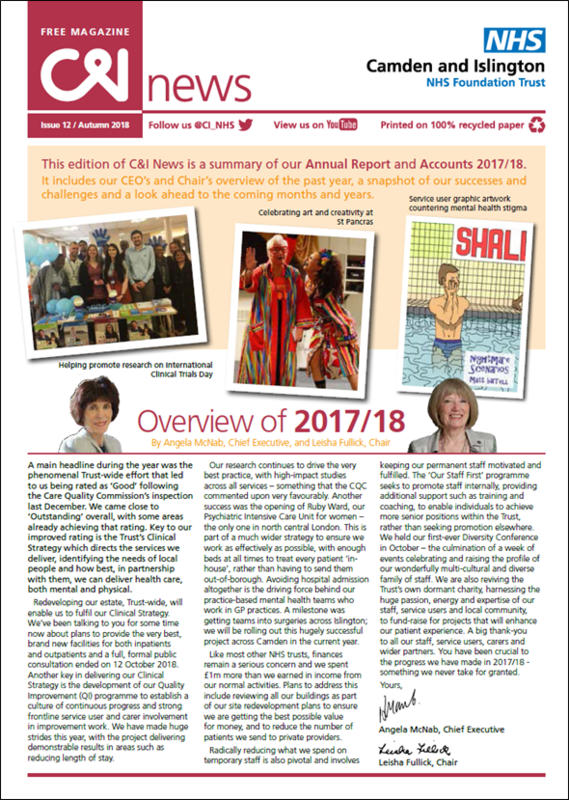 This edition of C&I News is a summary of the 2017/18 Annual Report and looks back on our services and the Trust over the past year. You can download and read C&I News here. You can also read the full Annual Report for 2017/18 on our website here. We hope you enjoy! If you would like to receive a free copy of C&I News directly to your inbox or posted directly to you in the future, please complete our subscription form.